I am in LOVE with this week's Color Challenge, Blu Raspberry, Persimmon, Lemon Chiffon, and Sweet Tooth. What a great combination! 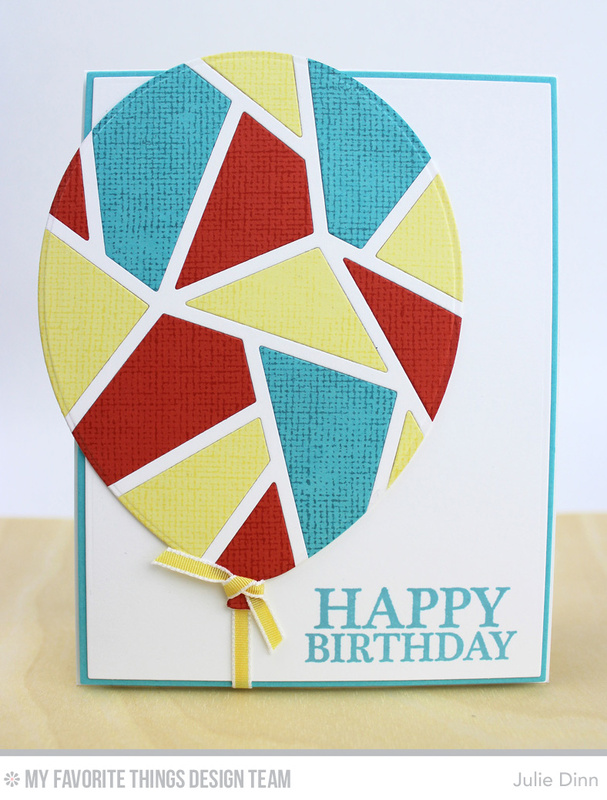 I paired these colours up with the Abstract Cover-Up Die-namics and the Balloon STAX Die-namics. I stamped three sheets of card stock with the Linen Background stamp and then I die-cut them with the Abstract Cover-Up Die-namics. I cut one additional piece of Smooth White card stock with the same die. I adhered all the pieces together on to a piece of card stock and then I die-cut the entire thing with the largest balloon from the Balloon STAX Die-namics. Be sure to check out the MFT Challenge Blog to see all the creations the MFT team and out fabulous customers have to share with you. Loving your abstract balloon Julie!! 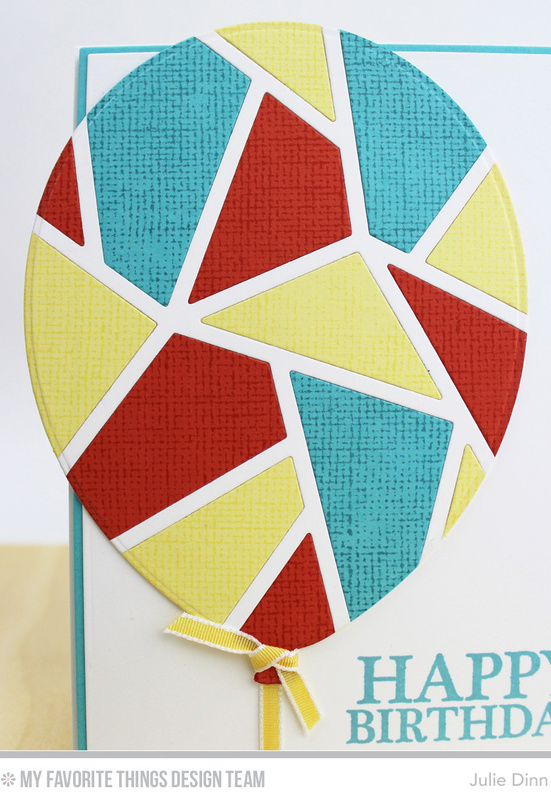 That die is in my top 5 MFT products, easy :) Look at its versatility here! :) Makes for a wonderful card!